At our next Art Walk event, when the holiday celebrations are over and new year resolutions include a more active outdoor lifestyle and exploration, we will do a leisurely paced walk along the waterfront in Alexandria, a city known for its charming neighborhoods with walking trails and scenic views of the Potomac river. We will do a leisurely paced walk along the waterfront starting at Founders Park towards Oronoco Bay Park. This trail covered with trees has a great view of the Potomac river and the waterfront and is a favorite among many local residents. Founders Park is near the shops and restaurants of King Street, the Alexandria Marina and the Torpedo Factory. It is a great place to relax and enjoy the fresh air and the natural beauty of the river. Oronoco Bay Park is a 4.5 acre park located along the waterfront, next to Founders Park. The park was once known as Texaco Bay and owned by John D. Rockefeller founder of the Standard Oil Company. In the 1980s, the City of Alexandria acquired the land and developed it into a park changing the name to Oronoco Bay Park. 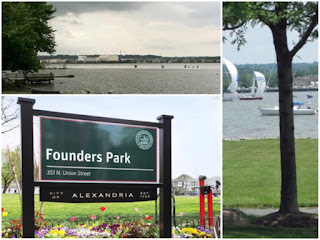 Historically, this area was inhabited by Indians when Captain John Smith an English explorer sailed up the Potomac during the summer of 1608, on his important exploration of the Chesapeake Bay and its tributaries. As we walk around the waterfront and the parks, we will also compete for the best photo around the historic waterfront. 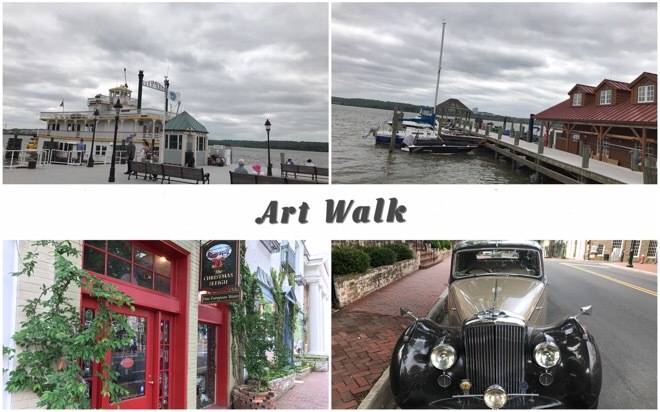 Description: Explore the Old Town parks and waterfront as we compete for the best photo for our Art walk contest.